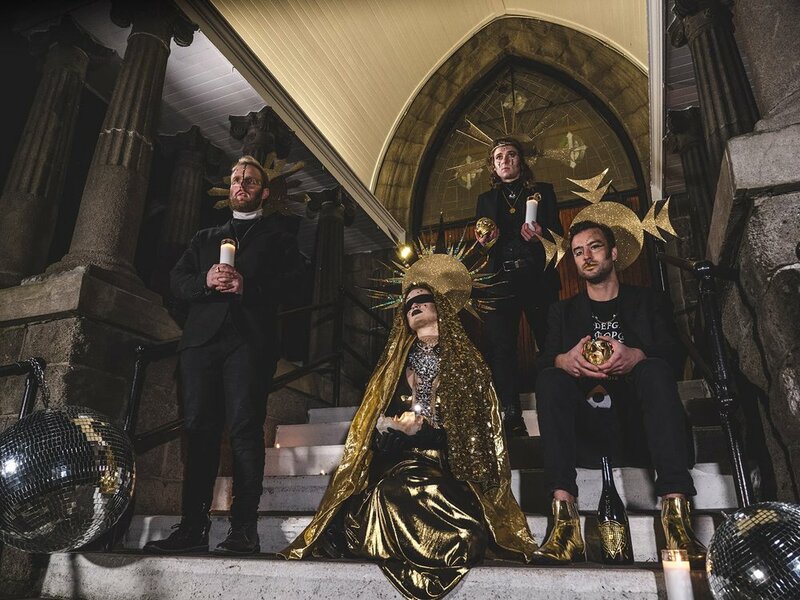 Freakout Records is pleased to announce Portland based nu-disco pop group, Gold Casio as the latest addition to the label. With a new EP right around the corner, KEXP has premiered the first single "Love vs. Logic," which will drop on all streaming platforms this Wednesday, February 14th. Freakout is Headed to Austin for SXSW! 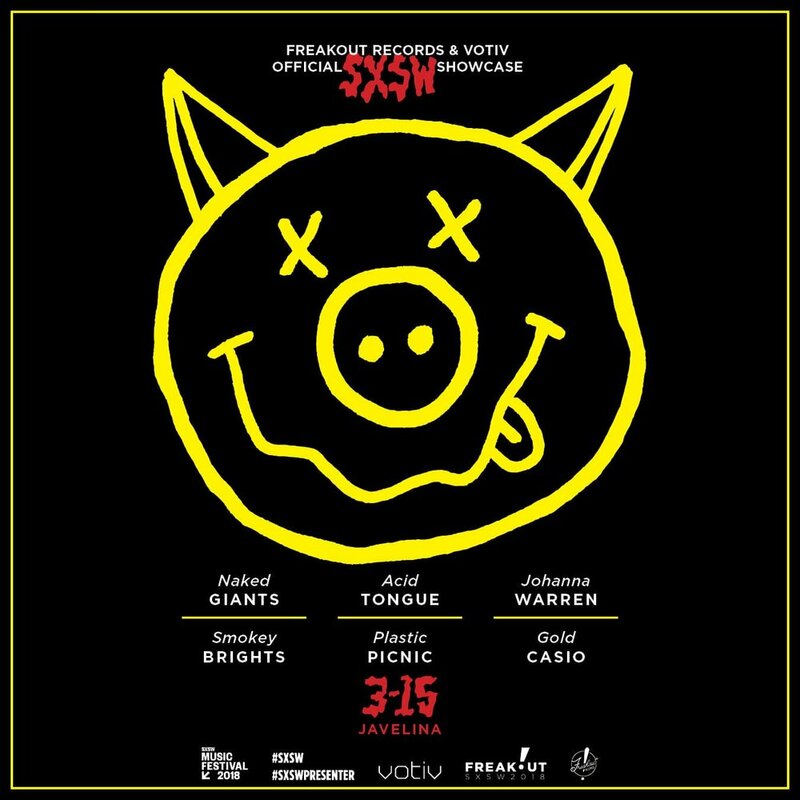 Freakout Records & Votiv are proud to present an official SXSW showcase at this year's festival. Join us Thursday 3/15 at Javelina on Rainey St. for a special evening of PNW-rooted music, featuring artists from the Freakout family along with a few of our friends. 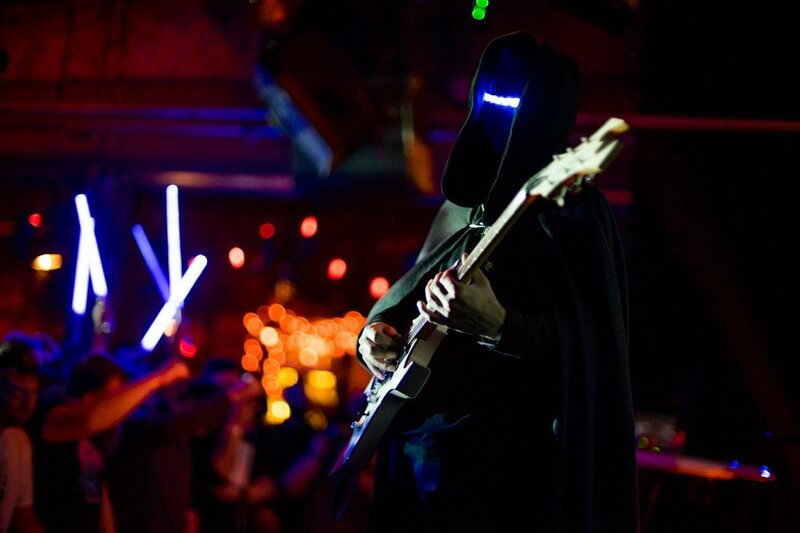 For festival tickets and more information, visit the SXSW website. Check out the recap from the KEXP blog team of the 5th Annual Freakout Festival that took place in Ballard November 17th-18th. Thanks to all involved in making this year a success! Join Freakout in Ballard this year for The 5th Annual Freakout! Guantanamo Baywatch, Magic Sword, Porter Ray, Roadkill Ghost Choir, My Goodness, Smokey Brights, Acid Tongue, Maiah Manser, Charms, Cosmos, The Shivas, Bread & Butter, Battlme, Sundries, Bombay Beach, Kelli Schefer, The White Tears & Pearl Dragon is Dead, Tomo Nakayama, Psychomagic, Stas THEE Boss, BlackWater HolyLight, Taylar Elizza Beth, Sleeping Lessons, Jusmoni, Cumulus, Basement Surfers, The Artisanals, Eastern Souvenirs, Spesh, Future Shock, Baywitch, Moon Darling, FKL, Youngblood and Head Band. The annual Festival curated by Freakout Records with support this year from KEXP's Audioasis, Treefort Music Fest, Killroom Records and Artist Home Record Club. 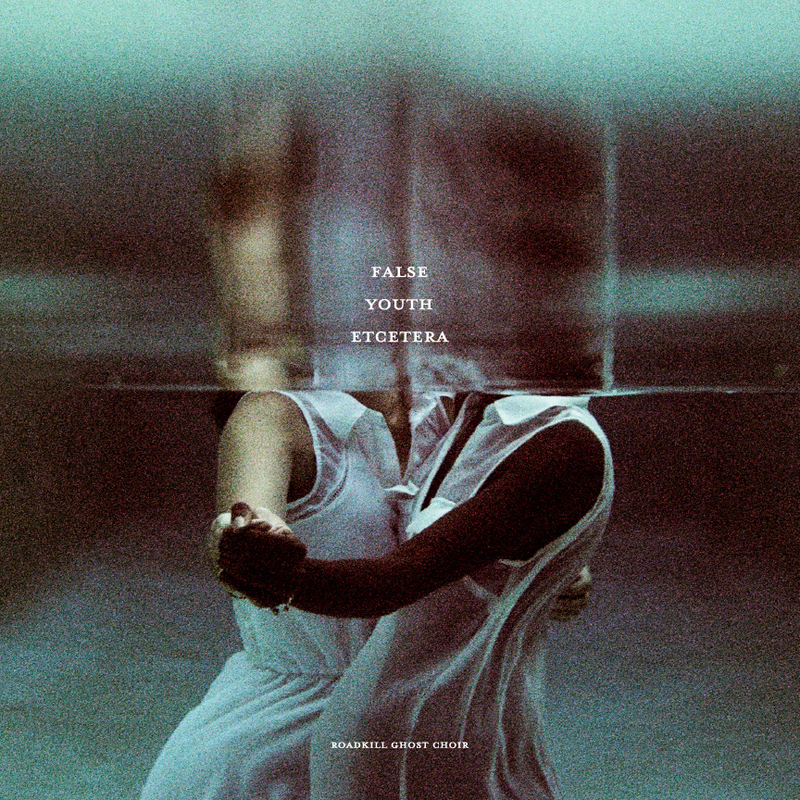 Cinematic, indie-rockers ROADKILL GHOST CHOIR have announced their return with a new album entitled False Youth Etcetera, out October 27 via Freakout Records. 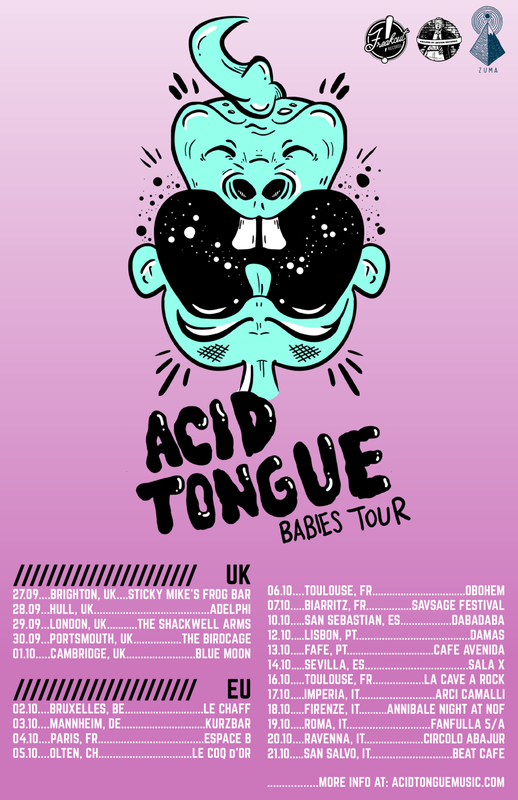 ACID TONGUE is excited to be returning to their friends at Failure By Design Records for a month-long tour of 8 European countries! Freakout Records is so excited for the 5th annual return of THE FREAKOUT! - join us Nov 17 & 18 at the Tractor, Conor Byrne, Sunset Tavern, Hattie's Hat, & CC. Filson in Ballard, Seattle, WA. NEW RELEASE: Acid Tongue Announces 'Babies' Debut LP - Hear Single "If I Really Loved Her"
Acid Tongue have released the first single from their forthcoming full-length, Babies. All Things Go premiered "If I Really Loved Her," saying, "Catchy to the core, 'If I Really Loved Her' is the perfect cut from the dreamlike, almost sci-fi masterpiece."